Specially designed for both the original PS4 and the PS4 Slim Console. 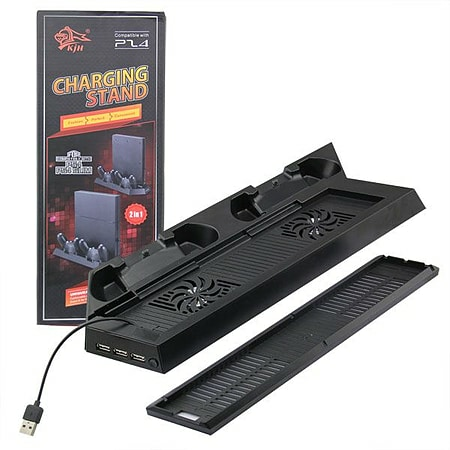 This stand allows you to store your Playstation Console in an upright vertical position. Can easily be converted to fit the original PS4 by simply removing one grill. 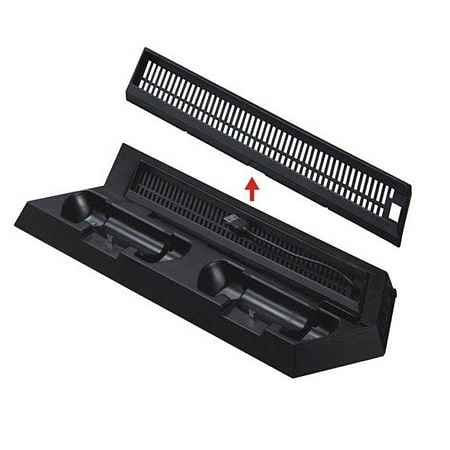 Dual Cooling Fans built into the base provide a steady flow of cool air to prevent your PS4 Console from overheating. Dual Controller Charging System to store and charge 2 gamepads simulataneously. 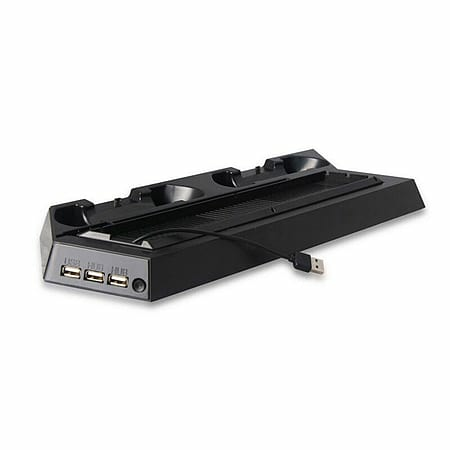 3 Port USB Hub with blue LED and On/Off switch - Powered by the console.